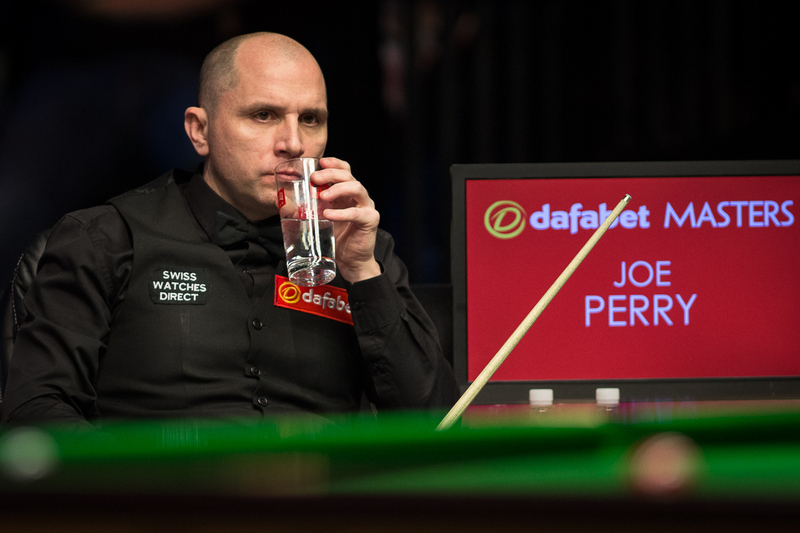 Joe Perry completed a tremendous come back against Barry Hawkins to win 6-5 and reach the final of the Dafabet Masters. 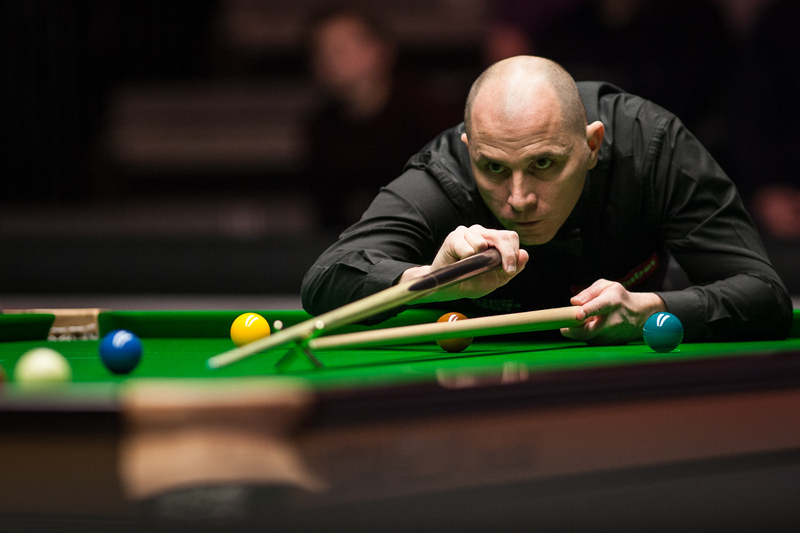 World number nine Perry is into the final of a Triple Crown tournament for the first time and will face Ronnie O’Sullivan over 19 frames on Sunday at Alexandra Palace, with the winner to receive the Paul Hunter Trophy and a cheque for £200,000. Perry is already guaranteed £90,000, which would be his second biggest career pay day after the £100,000 he banked for winning his first ranking title at the 2015 Players Championship. That looked a distant dream for the 42-year-old from Chatteris when he trailed Hawkins 5-2 and needed a snooker in the eighth frame. But he hit back in superb style and finished with a gutsy clearance in the decider. Before this week, Perry had failed to go beyond the last 16 of any tournament since October and insisted he was going through one of the worst periods of his career. But he has turned his form around in London, knocking out Stuart Bingham, Ding Junhui and Hawkins at snooker’s biggest invitation event. Perry had an early 2-1 lead tonight but then Hawkins, who was runner-up to O’Sullivan last year, gained control of the tie. Breaks of 58 and 53 put him 3-2 up and he won safety battles on the final red in both the sixth and seventh frames to make it 5-2. World number 12 Hawkins made a 58 in frame eight to lead by 44 points, before running out of position with two reds left. After a tactical exchange, Perry potted one red then laid a tough snooker on the other. And when Hawkins failed to escape, his opponent cleared and the come back was on. Runs of 57 and 62 helped Perry recover to 5-5. Hawkins had two early chances in the decider and led 50-0 when he was unlucky not to land on a red when splitting the pack. He later missed a mid range red to a top corner to hand his opponent a chance. There was still plenty to do but Perry made a brilliant 70, highlighted by a cracking pot on the last red to a baulk corner, and an even better do-or-die brown along the baulk cushion. When he added the blue he turned to his father Peter in the crowd to celebrate one of his best career wins. “I really can’t believe it,” said Perry, who had never reached the semi-finals of the Masters before. “When Barry potted game ball to leave me needing a snooker at 5-2, I was thinking what I was going to say to him. My next move was to shake his hand and wish him all the best for the final. This game’s mad, it never ceases to amaze. “It’s got to be the best comeback of my career, especially at this stage of a tournament. I struggled early on. Barry was by far the better player. He had the match at his mercy and then me getting back into it completely changed the momentum. “It was scrappy. I missed a lot of balls and played a lot of loose shots. He was controlling the match. I didn’t really settle on the new cloth, but I just stuck in and got over the line in the end. “I’m going to be second favourite. Ronnie has been virtually unbeatable here the last few years but that won’t be my attitude tomorrow. I’ll have to go out there and play to the best of my ability. “Playing the table and not playing Ronnie will be very hard. I’ve played them all, I’ve played Hendry, Davis, Jimmy. Ronnie is the one where it’s that much tougher just to play the table. The atmosphere was incredible here tonight, I’m sure it’s going to be ramped up a few notches tomorrow.